A media literacy graphic organizer to help students plan the development of their own ad. 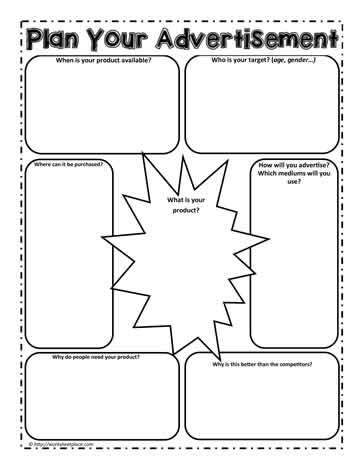 Students think about a product or service they want to create an ad for and use this graphic organizer to help them prepare for their final ad. Media literacy supports the learning of critial literacy which are the higher level thinking skills. Students need to infer, predict and analyze to complete the media literacy worksheet or graphic organizer.